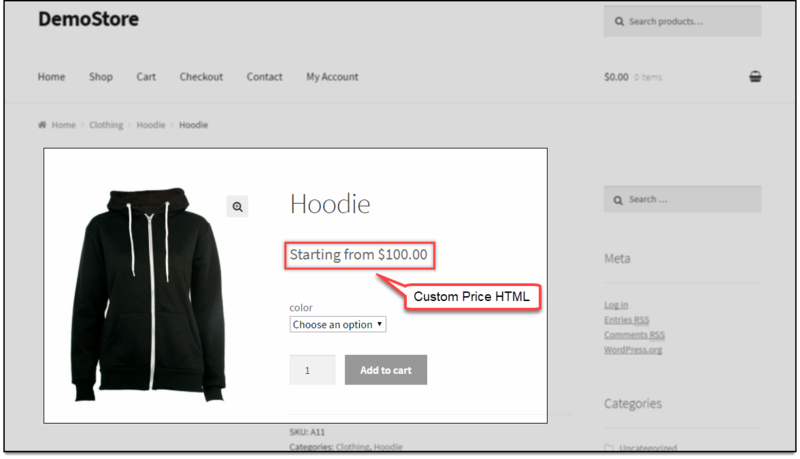 Consider a scenario where you want to set custom price HTML for variable products on your WooCommerce store. You can do away with the default price HTML and set one of your choices. You can achieve this by using a simple code snippet with our ELEX Dynamic Pricing and Discounts Plugin for WooCommerce. To change the price HTML, copy the following code snippet and paste it in the functions.php file of your respective website theme folder.